Kevin Anderson of South Africa reached his first Grand Slam final with a four-set victory over Pablo Carreno Busta. NEW YORK — Rafael Nadal went into his US Open semifinal Friday against Juan Martin del Potro with a relatively simple game plan: Stay away from the big guy’s flat, fearsome forehand and instead go after his weaker backhand. Nadal tried that strategy just long enough to drop the opening set. Once he scrapped in on the fly, everything changed, and it didn’t take long for him to power into the final. Closing in on a third title at Flushing Meadows and 16th Grand Slam championship overall, Nadal overcame a so-so start with an overwhelming performance the rest of the way, taking nine games in a row during one stretch to beat the 2009 champion, 4-6, 6-0, 6-3, 6-2. No. 1 Nadal will be a significant favorite Sunday against No. 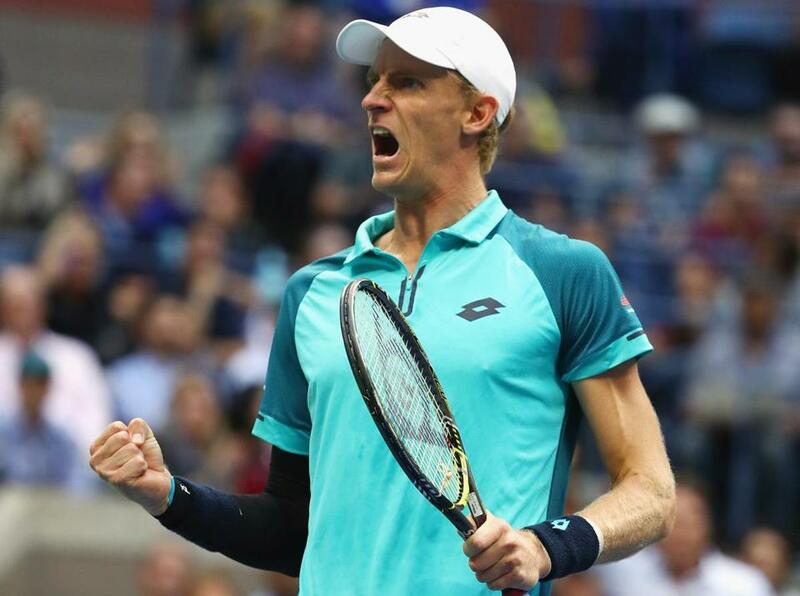 32 Kevin Anderson of South Africa, who beat Pablo Carreno Busta, 4-6, 7-5, 6-3, 6-4, to become the lowest-ranked US Open finalist since the ATP’s computer rankings began in 1973. The 6-foot-8-inch Anderson, who won an NCAA doubles title at the University of Illinois, is equipped with a big serve, certainly, but he only once had even been a quarterfinalist at a major until this week. He’s also lost all four previous matches against Nadal. Plus there’s this: Nadal looked as good as ever over the last three sets against del Potro, further confirmation of his return to the height of his powers. Nadal is again healthy and capable of excellence, after wrist and knee injuries dulled his effectiveness in 2015 and 2016 — the first seasons since 2004 in which he not only failed to win a Grand Slam trophy but didn’t even make a final. Save for that first set Friday, in which Nadal had nine winners and 10 unforced errors, he barely missed his targets. The numbers the rest of the way: 36 winners, 10 unforced errors. The key was that Nadal decided he needed to force del Potro to worry about his backhand, a two-handed shot he had to rebuild after three operations on his left wrist. That stroke was effective early, but only for so long. ‘‘He was playing all the time to my backhand, and when you don’t have that confidence to play three, four hours with a good backhand against Rafa, it’s just a matter of time,’’ del Potro said. Hours earlier, Anderson was so excited by his semifinal victory that he celebrated as if it made him the champion, stepping on a chair and then a flower box to help him climb into his guest box in the stands. Hip, leg, and elbow injuries caused him to miss time this season. Ankle surgery, plus left knee, right shoulder, and groin injuries were problems last year. He only once had been as far as the quarterfinals at a Grand Slam tournament until this week, losing at that stage in New York two years ago. Before that, he had been 0-7 in fourth-rounders at majors. Anderson is a big server, but it was his success returning against the 12th-seeded Carreno Busta that was the key to this victory. After failing to get a break point in the opening set, Anderson generated 14 the rest of the way — and converted four, which was enough for the biggest victory of his career. Anderson is 0-4 against Nadal.